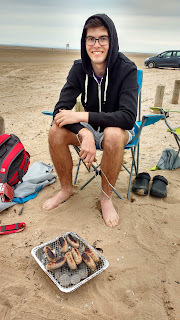 Last weekend we decided to go to the beach at Southport, the huge advantage of Southport is you can drive onto the beach which is so much easier than having to carry everything. 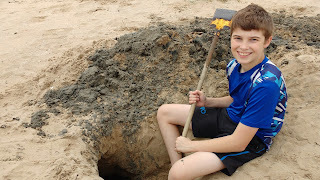 Luke dug a huge hole, it doesn't look huge in the picture but it was about 5' deep! He took his metal spade as it is much stronger and happily dug for the whole time we were there. There was a family next to us with 4 young boys and they were all fascinated by the hole and kept coming to watch! They even made their parents come and look at the "amazing hole." 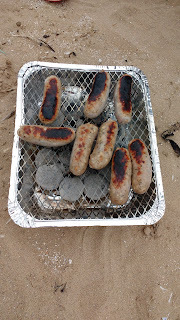 We took a disposable barbeque and had sausage, burgers and a tuna steak for tea. 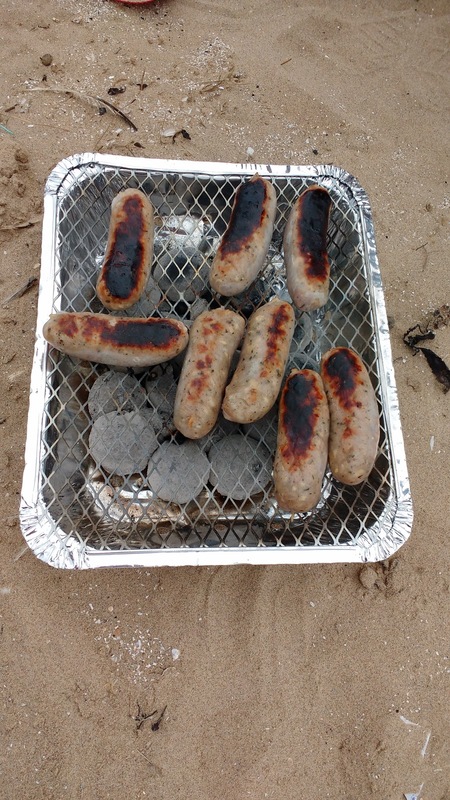 We have never had much success with portable barbeques but this one cooked the food perfectly. We had a lovely relaxing time and will definitely be visiting again.